April | 2014 | Bibliophibian Inc.
White Cat (Holly Black). Which was completely disappointing for me — I was intrigued at first, and then I figured out the entire plot, and felt that people were being stupid just for the sake of the plot. The Buried Life (Carrie Patel), which I think I’ve talked about enough that people get I was excited to get it. I’m about halfway through; I really need to sit down and get on with it. And then I also randomly picked up The Rithmatist (Brandon Sanderson). Other people complained about the amount of stress laid on the magic system here, but I kinda like it. I started it at the beginning of my volunteer library shift earlier, and I’m already halfway through. I sort of hope I’m going to be able to finish this tonight. I think the plan is to read That Way Lies Camelot (Janny Wurts), mostly. Obviously I still have a bunch of books that are stranded somewhere half-read, and I’m partway through a few series. But I’m feeling a bit unblocked about reading after the readathon and all, so I’m hoping that just letting myself roam about my shelves a bit will have good results. I may well finally get on with Elantris (Brandon Sanderson), since I know I was enjoying that — I only stopped because the ereader I was using at the time went phut and I lost my place. Magic’s Poison is enjoyable — not as good as Bradshaw’s historical fiction, and with a predictable romance subplot that didn’t do much for me, but it’s a fun read. 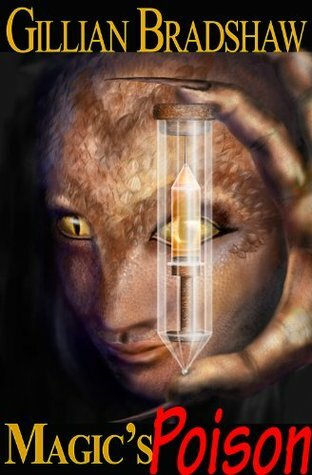 The set up of this fantasy world isn’t particularly special; I’m sure I can think of plenty of things comparable in the way the social structure is set up, the way magic is handled, the idea of magic (or something connected to magic) as an addiction, the idea of that addiction as something that corrupts… the snake people, too, seemed familiar — I think I’m thinking of Raymond E. Feist? But, it’s how Bradshaw pulls everything together that makes it interesting. The snake people aren’t evil, the stupid prince seems to be just stupid rather than malevolent, the capable and kind duke doesn’t get set up to rule the kingdom because he’s capable and kind, as if that’s a good excuse to depose someone. I wasn’t sure about the story at first, and I do think some parts dragged on unnecessarily, but all in all, I’m glad I read it. I’m interested to see what the other books in this series are like — I think they’re all linked, though I bought them so long ago I can’t remember the summaries and how closely they’re linked. 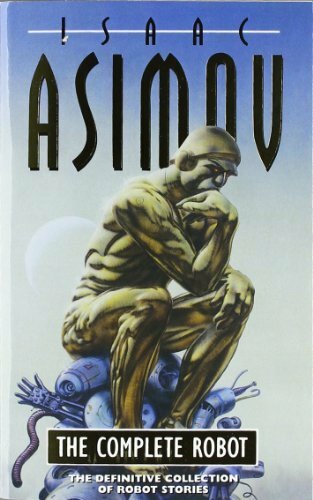 I’ve always liked Asimov’s work — one of my favourites has always been the expanded version of one of the short stories in this volume, The Positronic Man — and so this was a nice familiar read for me. I’ve read some of the stories, while some were less familiar, but it is a bit like comfort eating: with Asimov, I know exactly what I’m getting. It’d be a bit much to start here with Asimov, I think, and read all the short stories start to finish. I’d pick a smaller collection, rather than a collected one. But if you’re a fan of Asimov’s robot stories, then this is definitely worth picking up — there’re some in here I wasn’t really aware of. I think what’s really great about these stories is that Asimov set up some rules, and then he bent them until they became almost meaningless within the constraints of the story. You can program a robot to never harm a human being, but if it decides you are not a human being, that rule no longer applies. Who is the judge of humanness? Or the stories where the hierarchy of rules fights against itself, with a robot trapped between compulsions. I love the way Asimov explored that. He didn’t just come up with a clever idea and then write robots you could sympathise with all the way; he liked stories that sympathised with robots, and he also saw how our society would really react to robots, and he got to work and told us stories that fit with what he saw. I find it hard to talk about character or anything in Asimov’s stories, about not portraying women properly, etc, because I don’t think he portrays anything truly except robots. That’s what he was interested in, and that’s what he achieved. I can understand not liking them for that reason, but to me as a reader, it’s irrelevant. I’ve had a review copy of this for ages. I was slightly put off by negative/ambivalent reviews, but this ended up being really, really fascinating. I’m a little taken aback by the fact that people see Israel/Palestine here and not Catholics/Protestants in Northern Ireland — I mean, come on: the language thing, read Translations by Brian Friel, and Confessors vs. Proclaimers… The language thing especially got to me, because you know, I’m Welsh and I live in Wales and yes, half the place named are bastardised into English, and there was the whole issue of the Welsh Not and the Treachery of the Blue Books and… so many of the issues spoke to me. Others, of course, do speak to other conflicts, to other people’s; to discrimination anywhere and everywhere. It’s not purely about Ireland or Israel or anywhere: it’s about a land, any land, splitting itself in half. And maybe, maybe, coming together again afterwards. The writing style is different — more reported speech than direct speech, a narrator that’s liquid and loose, more like a thought than a sentence spoken aloud. The world is fascinating, some of the characters really intrigued me, but somehow it was that liquidity, that flow, that really made the story fly by for me. It’s easier if you just immerse yourself in it and go go go; harder if you try to overthink it. It’s a dizzingly different world, and yet so much the same. 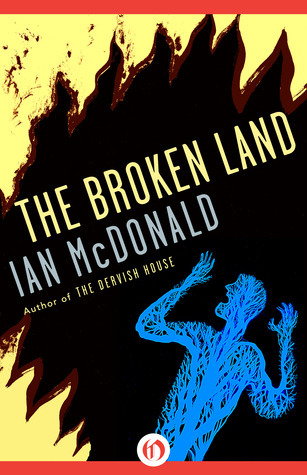 In other words, I was completely hooked and must read more Ian McDonald books. Basically a book that criticises making concrete judgements on the little data we have available, and then makes some of his own, which is kind of how a lot of this works, so no surprise there. On the technical side, I found his style off-putting: it seems to suggest an intentionality and directionality to evolution that does not exist. 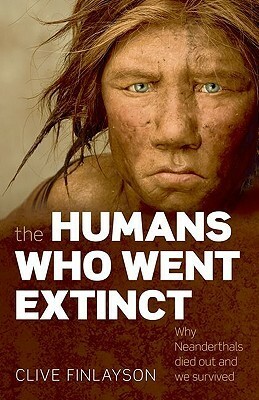 Overall, the basic thesis is interesting: that climate and chance drove human evolution, and determined which branches of the evolutionary tree survived. That’s accepted when it comes to other animals, but in humans we do tend to make arguments about Neanderthals being stupider than humans, etc. And yet, put me in the environment the Neanderthals thrived in, and I’d have a lot of trouble, too — and here I am with bits of paper I can show you to prove my intelligence by our standards. I did find some things funny, like Finlayson’s self-righteous little comment about people in their comfort zones pretending to care about people in less fortunate conditions and doing nothing. He’s writing for Oxford University Press — that glass house he’s sitting in is very conspicuous. 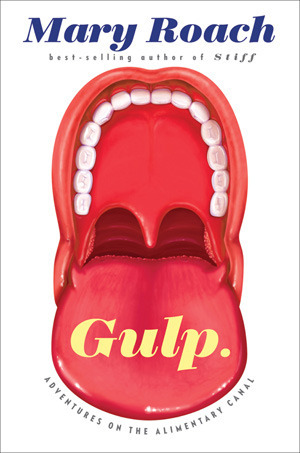 Gulp is definitely light, popular science, with an abundance of footnotes, irreverent comments, and some interesting facts/experiences. I wasn’t grossed out by it, since I can be fairly clinical, and rolled my eyes at some of the humour aimed at being gross; mostly it was an interesting read, certainly a quick one. It’s accessible, no matter what level your knowledge of biology is at, mostly dealing with the various topics in an anecdotal way. I liked reading it, but now I have and look back, I think it dragged a little. Part of that’s doubtless my sense of humour, which is defective and needs to be returned for a refund. Part of that is the endlessly anecdotal nature of it. I’ve reserved another of Roach’s books from the library, but I wouldn’t buy it for myself; I do have a friend who I think would find this quite interesting. Also, will people please quit hurrhurrhurring at the idea of faecal transplants? I’m sure it’s all very well to laugh at it from a distance, but a) it’s reinforcing the stigma about diseases like Crohn’s or ulcerative colitis which really are not funny, and b) I have high hopes that they will actually find a way to cure or at least greatly alleviate inflammatory bowel diseases as a result of studies into this kind of thing. Several close friends have IBDs, and I cannot wait for the day they can quit feeling that shame/disgust. 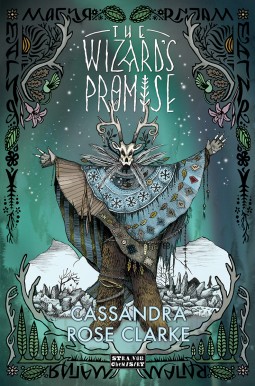 I like Cassandra Rose Clarke a lot, and although her YA books aren’t as good (to my mind, anyway) as The Mad Scientist’s Daughter, they’re enjoyable. She creates interesting worlds that aren’t your typical run of the mill fantasy worlds, with female characters at the centre who aren’t limited in any way by silly sexism carried over from our world. We get several female characters, of varying importance, who do the same sorts of things as the men of their world, which is refreshing. Some of the comments about the slowness of this plot are kinda justified, I think. It’s just awkward when your plot depends on a major character basically kidnapping another and sweeping them off into lands unknown and a fair amount of danger, without telling them anything about it. It’s hard for me to sympathise with Kolur, on those grounds, and Hanna’s entirely right to be pissed about the way he swept her off and his motives for doing so, to my mind. It’s not even entirely clear why he kept Hanna on board instead of just finding a way to send her home. Isolfr is an interesting character in terms of what he is, but we don’t really see enough of him yet. I’ll be interested to see how he develops in the next book. I was actually a bigger fan of the husband and wife couple, Finnur and Asbera: they were good friends, understanding and accepting, and they had a strength and sweetness together that seemed entirely natural. Overall, I enjoyed this, and will definitely read the second one when it’s available. And I, uh, need to catch up and read The Pirate’s Wish, ASAP. 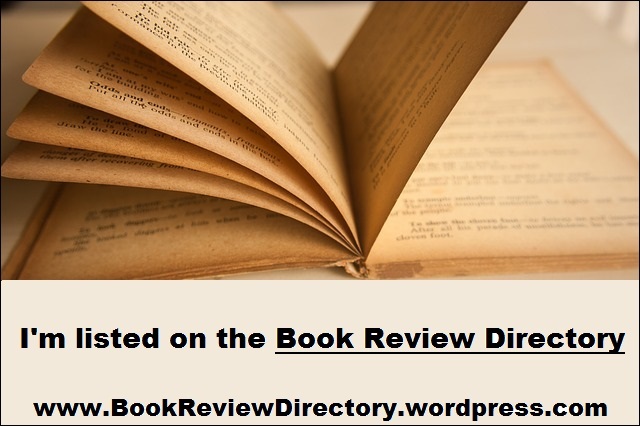 All books marked with "received to review" were received for free, in exchange for a review. If I have any personal relationship with the author, I also disclose that in the text of the review. ***** - Can I marry this book now?